Aamras is the extracted pulp of our King of the fruit, Mango. Aamras is most popular in Gujarath, Maharashtra and Rajasthan. There are different flavors in aamras. The specialty of this dish is that it can be prepared by any variety of mango and is well known for its color, taste and simplicity. It goes well with puri and chapathi. Everybody loves it in my house and i guess the same in your house too. Can use any type of mango. 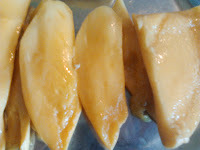 Can add saffron and cardomom powder / elaichi while grinding to give its flavor. Milk and ghee are added to the pulp to enhance its flavor. 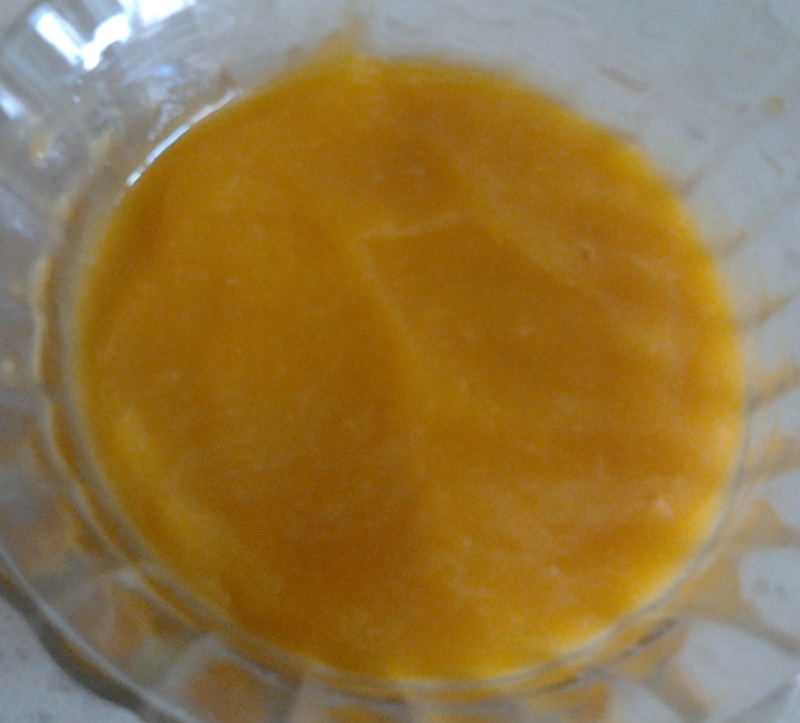 I am adding only milk because it reduces body heat as mango increases the body heat. Sugar is also added to adjust the sweetness. But i am not using sugar as my mangoes are sweet. Put little pulp at a time while grinding else it may pour out. Dont use too much of milk. If you feel it is very thick then add some water to it. 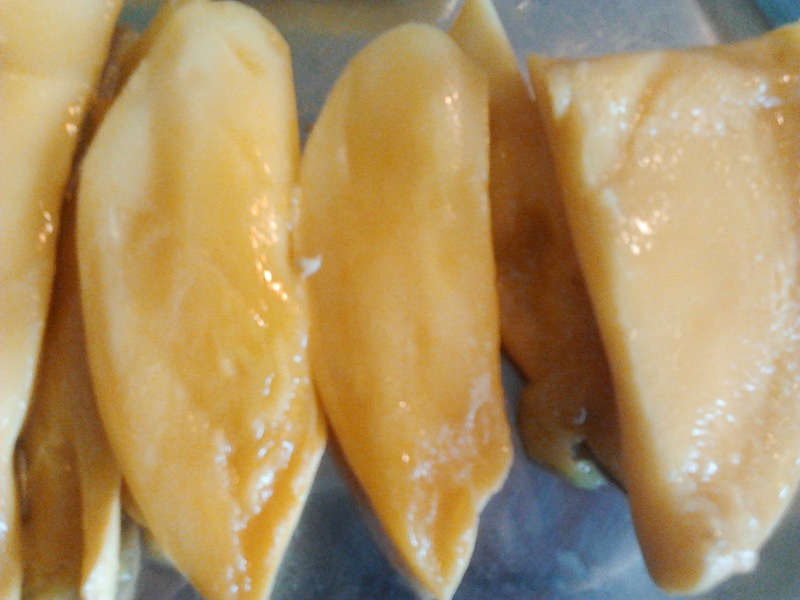 Wash and cut the mangoes. Remove the pulp. 2. Take a mixy jar, add the pulp, milk and sugar if needed and grind it. 3. 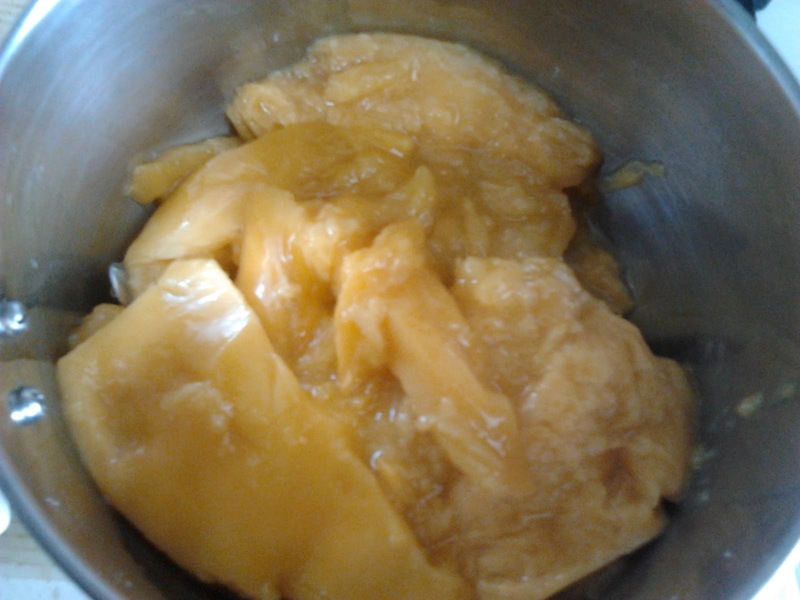 Now transfer it to a bowl and freeze it if needed.